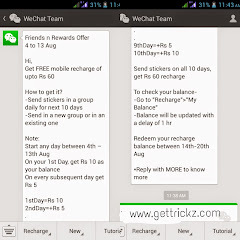 Hello Friends Wechat Providing Free recharge. Offer valid for limited period.Dont miss the chance. Get FREE mobile recharge of up to Rs 60?